The Dynamic Duo! 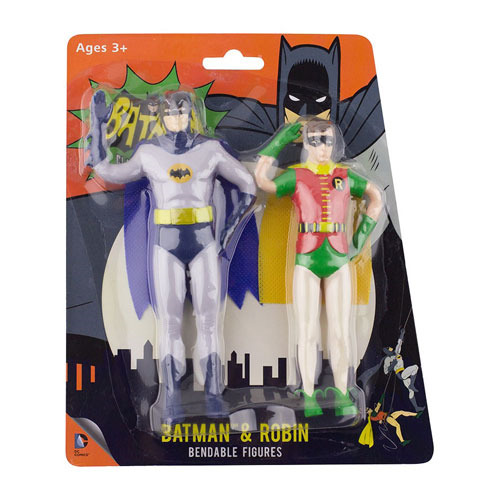 Direct from the hallowed 1966 TV series, this Batman Classic TV Series Bendable Figure 2-Pack features bendable, poseable versions of Batman and Robin. They measure about 5 1/2-inches tall. Ages 3 and up.